Southern Utah Attractions: Iron Man - Volunteer Opportunities! Iron Man - Volunteer Opportunities! 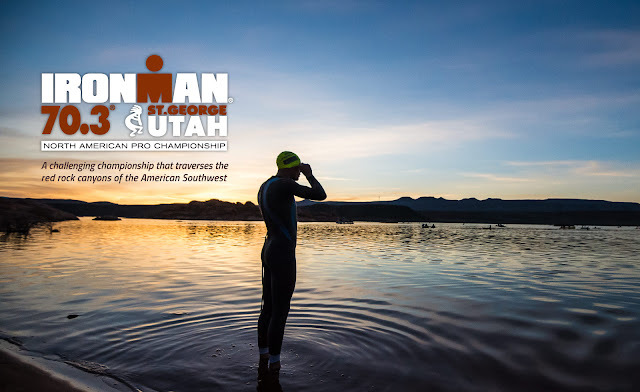 The Iron man in St. George is a huge event! Locals and tourists participate in this event. It is 70.3 miles of swimming, biking and running. Registration for this event started in July so the early bird registration is over but you can still register at a higher cost. Keep in mind that because of late registration your race gear will not be personalized. When: May 5th & 6th - Packet pick up, briefings, etc. May 7th - Race day! Don't want to participate in the race but want to be involved? There are volunteer opportunities waiting for you! Register to volunteer and read all about it by clicking here. So excited to watch this! I love the energy in the air! Super inspiring!